Edward Livingston was appointed Secretary of State by President Andrew Jackson on May 24, 1831. Livingston entered duty on the same day. His tenure as Secretary of State ended on May 29, 1833. Livingston brought considerable legal expertise to the office but operated under strict presidential constraints upon his authority. Livingston was born on his family’s estate at Clermont, New York. He studied at the College of New Jersey (now Princeton University), graduating in 1781. Following his admission to the bar in 1785, he practiced law in New York City. With the benefit of political advice from his older brother Robert, who had served as Secretary of Foreign Affairs during the Articles of Confederation government, Livingston won election to the U.S. Congress as a Representative of New York and served from 1795 to 1800. He next served as U.S. Attorney for the District of New York and Mayor of New York City from 1801 to 1803. In 1804 Livingston moved to New Orleans and practiced law. He served as an aide-de-camp to General Andrew Jackson during the Battle of New Orleans. In 1820 Livingston returned to politics and enjoyed a series of victories: first to the Louisiana State House of Representatives; next as a U.S. Representative from Louisiana from 1823 to 1828; and finally, as a U.S. Senator from Louisiana from 1829 to 1832. President Jackson asked for the resignation of his entire cabinet in 1831 in order to neutralize his feud with Vice President John Calhoun and Calhoun’s supporters within the cabinet. Jackson appointed Livingston as Secretary of State upon the advice of outgoing Secretary of State Martin Van Buren. Like his predecessor, Livingston would have to pay deference to President Jackson regarding foreign policy. Livingston’s authority was actually broader regarding domestic affairs. 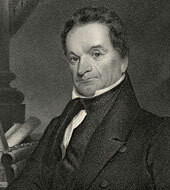 Notably, he rewrote Jackson’s famous Nullification Proclamation of 1832, which responded to a crisis over states’ authority to nullify federal law. Livingston inherited a number of unresolved—and challenging—diplomatic projects. He could not settle the dispute over the northeast boundary despite his considerable efforts to sway the British and U.S. citizens in Maine. He focused on the ratification of a major commercial treaty with France, but the French Government delayed action on the agreement. Livingston also struggled with Britain’s interest in suppressing slavery, protesting the British Government’s decision not to return U.S. slaves who reached British soil. Finally, he oversaw failed efforts to reach a settlement with the Mexican Government regarding Texas. Although U.S. negotiators did advance commercial agreements with Naples, Muscat, Russia, Siam, and Turkey during his tenure, Livingston had little to do with their progress. Livingston was more involved with political disturbances in the Western Hemisphere. He followed an uneven approach regarding the Monroe Doctrine. In 1832 New Granada withdrew a commercial treaty with the United States at Britain’s urging. In response, Livingston called upon the Monroe Doctrine, establishing the commercial element of the doctrine. In contrast, he declined to invoke the doctrine when Britain seized the Falkland Islands in 1833, ousting the Argentine Government to reaffirm a prior territorial claim. On the day of Livingston’s resignation as Secretary of State, President Jackson appointed him U.S. Minister to France. During his stay in France from 1833 to 1835, Livingston employed his diplomatic skill and his appreciation of French culture to help bring into force the French Spoliation Claims Treaty, which addressed decades-old claims over the seizure of U.S. vessels and cargo. While delays infuriated President Jackson, the settlement finally came in 1836, shortly after Livingston’s departure and death. Commissioned during a recess of the Senate; recommissioned after confirmation on Jan 12, 1832. Commissioned during a recess of the Senate; recommissioned on March 5, 1834, after confirmation.